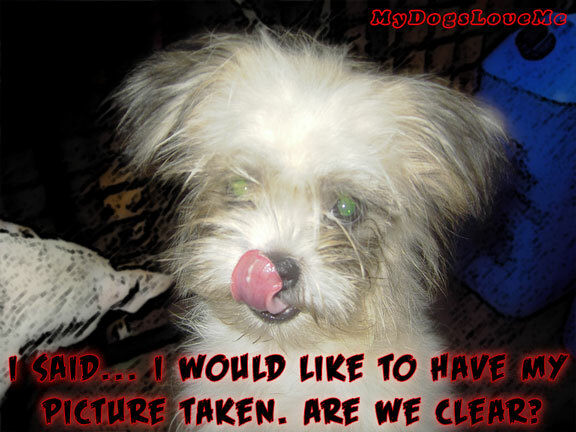 I just so love Chooey's messy look! So so cute! Awwww, that is such a cute pic. Chooey, are you all set to get a treat? Ha Ha. Have a lovely day. At least there's one animal companion out in blog land who *likes* having a photo taken! BOL!!! Silly goose! Hey sorry for the lateness of the your prize but we sent it yesterday! We hope you like the pressies! Awwwe! I think Chooey looks cute! Aw, well maybe just a little bit creepy. No, not creepy at all. Intense perhaps? :) Have a great Wednesday! Haha, he should get a part in a zombie film (worlds most adorable zombie). Chooey, you just crack us up! Especially YoYoMa, OUR goofy guy! Haopee, at your suggestion we started giving all of the WDA turmeric and have had great results. It has had such drastic reduction in Nuka's skin papillomas that Dr. Julia has done a bit of research herself and now has suggested it to her other patients with similar issues. We, too, belief diet is a MAJOR factor in all disease prevention but truly in cancer's. Aw, he is so cute! We don't think he is creepy at all! I think your mostly sooo kissable that we cannot stand it! We think his hair is a little messy! In answer to your question on our blog...It was LadyBug in the picture! It is hard to tell them apart!! "Take the picture and back away...ver-r-ry slow-w-wly..." MOL!! !